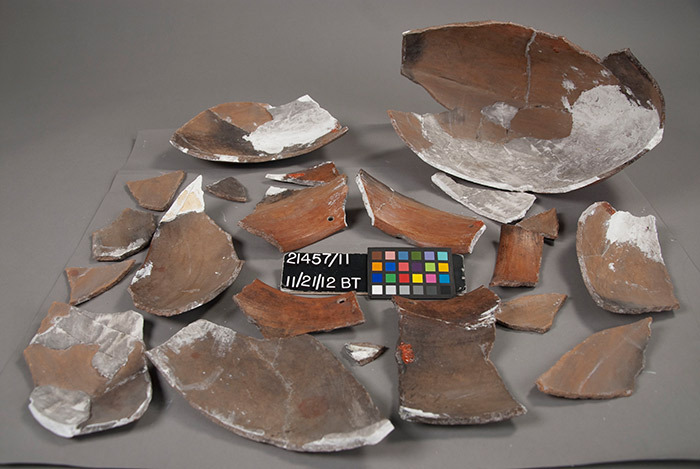 Now that the pottery survey has been completed and results assessed, the next phase of the project will be the conservation treatment of Priority 1 pots—the pots most urgently in need of stabilization. This group of ceramics is representative of the collection, including a wide range of culture groups, materials and technologies, and condition issues. 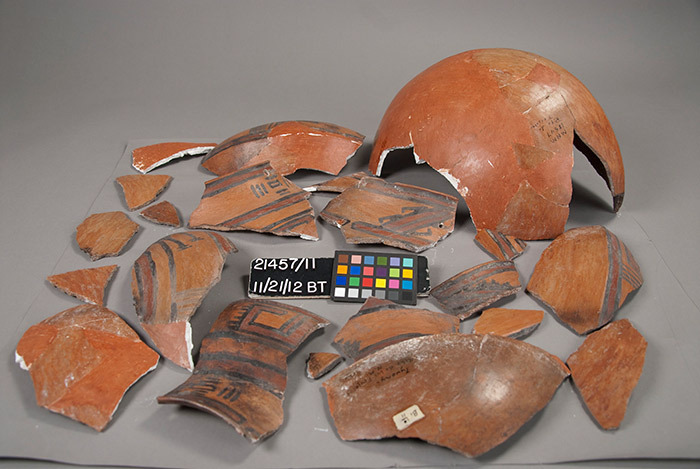 As this subset of the collection is stabilized, it will also be used to develop a holistic methodology that will later be applied to a conservation plan for Priority 2, 3 and 4 ceramics. 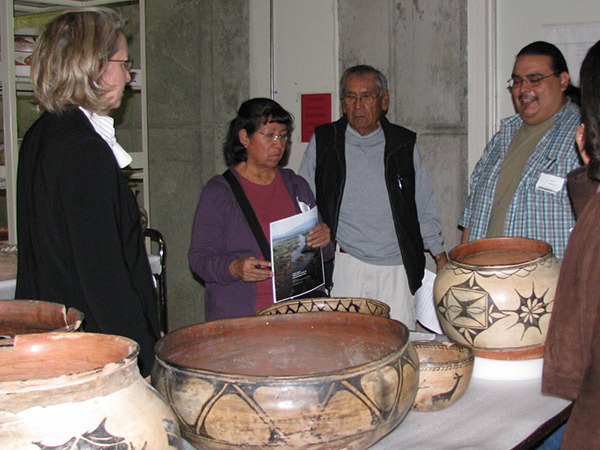 The overall goal is to arrive at scientifically and culturally appropriate preventive conservation and treatment protocols for the Musuem's entire archaeological pottery collection that will improve visual and physical access to these collections as well as research and education potential for all of the Museum’s constituencies. This goal will be accomplished through a conservation process that is collaborative between conservators and various other experts, including Native artists and advisors. Further, knowledge gained as a result of this collaborative process is documented and available as appropriate per the Indian Advisory Panel, to users of the collection and beyond. 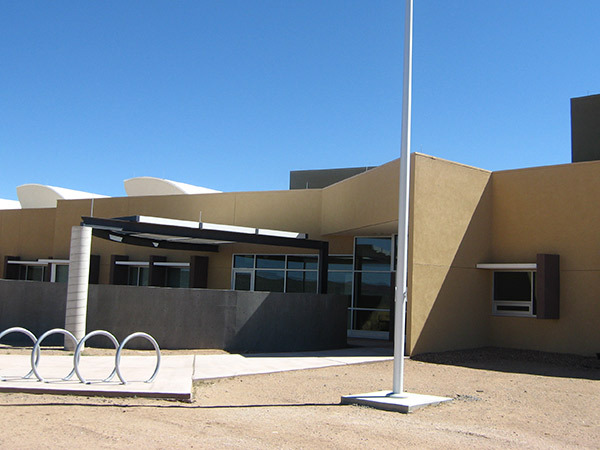 Through this project, our intention is to preserve this irreplaceable New Mexican treasure, and to improve its usability as a resource for study and exhibit for years to come. Conservation treatment decisions are often not as straightforward as they may seem. 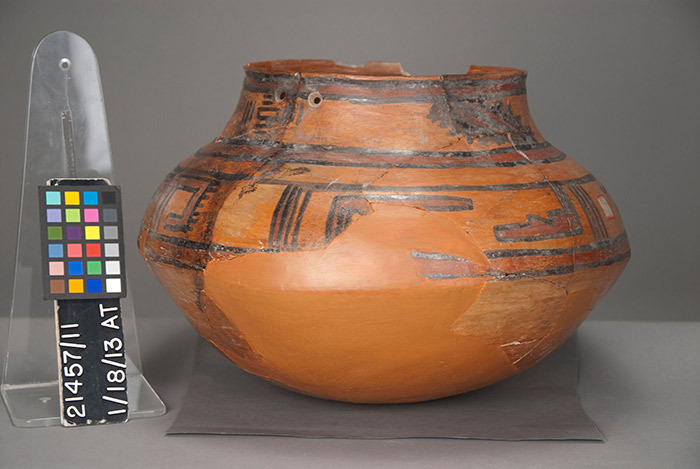 There are various methods and materials used to conserve pottery, and pots can be restored to different levels - or not at all. 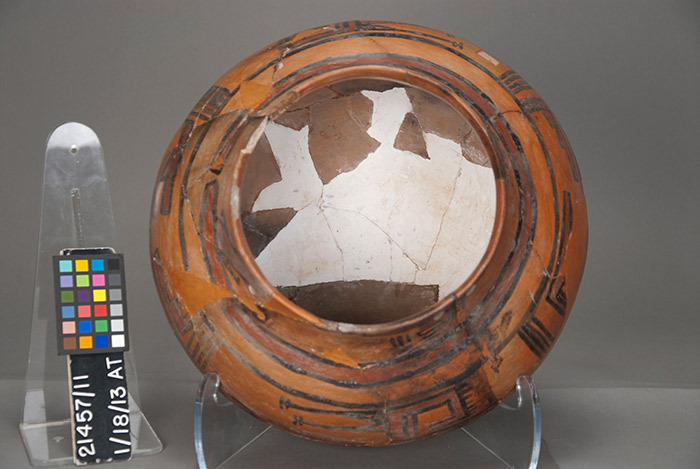 These decisions are based on the conservator’s examination, analysis and consultations with archaeologists, ceramics analysts, Native potters and other consultants, scholars and ethnologists. Microscopy and other scientific instrumentation in the MRD Conservation Lab such as Fourier transform infrared spectroscopy (FTIR), and a portable x-ray fluorescence (XRF) unit, will also be brought to bear where needed, analyzing and identifying various adhesives, coatings and fill materials used in previous repairs and reconstruction, as well as residues from cultural use. At the same time certain principles guide conservation treatment. Overall, the integrity of the original object is paramount. Any treatment that would modify the object in any way is carefully considered. In addition, care must be taken to leave any evidence of cultural use intact, including residues and repairs made while the pot was in use. When treatment is needed, only materials that are well-studied and shown to be both chemically stable and reversible are used. Any aesthetic work, while visually integrated with the original object, must be somehow distinguishable - this is important in a research collection. Finally, a cornerstone of conservation examination and treatment is documentation of the object, its conditions and any conservation treatment in reports and photographs. In addition, video is increasingly used to record treatments and consultations.